Pending verification of signatures, this proposal will be on the Colorado ballot in November 2016! They didn’t pick it and — after various twists and turns — she ended up running for office to find a way to pass it.﻿ Now it’s a ballot initiative effort. Back in February, I wrote a lengthy post seriously questioning an article in The Atlantic that suggested Colorado was the harbinger of the year to come for Democrats, as failed and notably abrasive 2010 Republican nominee Ken Buck agreed to drop out of the Senate race there in favor of Congressman Cory Gardner, the more moderate and affable establishment pick. That article basically asserted that this proved that Republicans had gotten their act together on the Senate side after major flubs cost them Senate control in 2010 and 2012. Tonight, Ken Buck is a Congressman-elect in Gardner’s old seat (the only part I predicted correctly) and Cory Gardner is a Senator-elect, having defeated Sen. Udall in a race that I wasn’t even seriously putting on the map until this summer. It looks like Republicans will end up winning more than they need (possibly quite a bit more — it’s been a bad night) to capture the Senate, but they’ve definitely crossed the line at this point. And Gardner was a major factor in that, both dismantling what could have been an easy hold for Democrats with somebody like Buck running again and ensuring that Republicans had extra paths to victory while Democrats had extra states to defend. Gardner becoming the clear favorite in the last month basically made it obvious that Democrats were going to lose at least seven seats for sure (the fallback magic number to flip control even if Republicans choked in Kansas), almost certainly one or two more, and quite possibly more beyond that. In the end, when all is said and done (after Alaska comes in and after Louisiana’s runoff, if they don’t beat expectations at this point), Democrats are about to have lost 9 Senate seats and won none. Which is not to say any of these winners are genuinely moderate. But they certainly talk the talk convincingly enough to not giftwrap unforced errors to embattled Democrats all over the place for a third cycle in a row. This was always a tough year for Senate Dems with a very strong GOP advantage built in from early on in 2014, but it was not clear it would be a lock as things developed. In the end, though, Ken Buck and Cory Gardner making a smooth switcheroo in Colorado back in February was one of the major tipping points after all for Senate control. I sure didn’t see that coming. Maybe in 2015 I’ll stick to picking out minor global news stories before they become huge headlines, because I did pretty well on that front this year. Section 1. Nuclear detonations prohibited – exceptions. No nuclear explosive device may be detonated or placed in the ground for the purpose of detonation in this state except in accordance with this article. Section 2. Election required. Before the emplacement of any nuclear explosive device in the ground in this state, the detonation of that device shall first have been approved by the voters through enactment of an initiated or referred measure authorizing that detonation, such measure having been ordered, proposed, submitted to the voters, and approved as provided in section 1 of article V of this constitution. Section 3. Certification of indemnification required. Before the detonation or emplacement for the purpose of detonation of any nuclear explosive device, a competent state official or agency designated by the governor shall first have certified that sufficient and secure financial resources exist in the form of applicable insurance, self-insurance, indemnity bonds, indemnification agreements, or otherwise, without utilizing state funds, to compensate in full all parties that might foreseeably suffer damage to person or property from ground motion, ionizing radiation, other pollution, or other hazard attributable to such detonation. Damage is attributable to such detonation without regard to negligence and without regard to any concurrent or intervening cause. Section 4. Article self-executing. This article shall be in all respects self-executing; but, the general assembly may by law provide for its more effective enforcement and may by law also impose additional restrictions or conditions upon the emplacement or detonation of any nuclear explosive device. Section 5. Severability. If any provision of this article, or its application in any particular case, is held invalid, the remainder of the article and its application in all other cases shall remain unimpaired. Anti-test sentiment has run high in Nevada and the nearby Mountain West states in the fallout air path (e.g. Utah and Colorado), ever since the heavy testing in the 1950s in the desert outside Las Vegas. As an example: In September 2008, Utah’s lone Democratic member of Congress, Rep. Jim Matheson, boldly declared out of nowhere — given ongoing (admittedly voluntary) ban on all U.S. testing since 1992, not to mention the growth of metropolitan Las Vegas over 50 years — that he had “become very concerned about recent Congressional actions that may lead to the resumption of nuclear weapons testing at the Nevada Test Site.” He was convinced, at least for campaign purposes, that test resumption in Nevada was imminent and that his re-election was necessary to stop it from spreading radiation across Utah. Which is interesting because it makes another potential spot in the Colorado State Constitution that is unconstitutional under the U.S. Constitution. Still, as Mountain West Supremacy Clause crises go, this is no Bundy Ranch standoff. Plus, one imagines it would be so unpopular for the Feds to override the state’s ban without a referendum that they would simply choose another test location rather than have a court showdown over the Supremacy Clause. Above: 1953 Operation Upshot-Knothole, Grable Test – Nevada Test Site. Tancredo last campaigned as the American Constitution Party nominee for the same office four years ago. The ACP is notable mostly as an openly theocratic, right-wing party, with close ties to George Wallace’s segregationist movement. Let’s wind back to his amazingly insightful, I mean wildly racist, 2006 comment about one of our country’s fine metropolises of lesser Anglo-ness. So as you can see, he’s not a racist. He just never says anything but racist stuff and has only racist policies. But in a hilarious turn of events, an organization literally calling itself “Republicans Who Want to Win” has been running ads saying that primary voters shouldn’t choose Tancredo because he’s unelectable. Whom should the voters choose instead to be more electable? The Colorado-based group is supporting Bob Beauprez, a former congressman who lost his 2006 bid for governor by double digits. And if Tancredo doesn’t win the primary? Something something we the people. 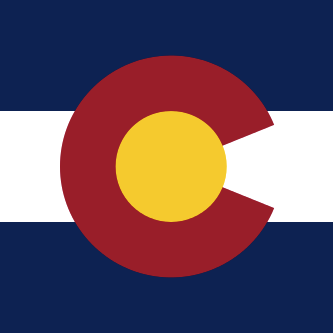 The previous Colorado chief of Corrections was shot and killed in his own home by a former inmate who had spent years confined in solitary confinement (a punishment which is pretty well known at this point to make most people very mentally unstable), after the latter man was released from prison straight out of solitary when his sentence ended. The victim, ironically, had expressed concern about the state’s excessive use of such treatment (and in particular the habit of releasing people directly without transition like that) and had cut the number of solitary inmates in half before his death. To me it has long seemed that solitary confinement is probably one of the most heinous practices in the American prison system, and one that should probably be banned at least for general use under the 8th Amendment’s prohibition on “cruel and unusual punishment.” It must be particularly traumatic and damaging for inmates who are serving less than a life sentence and are eventually supposed to be released back into ordinary society. Raemisch even spent 20 hours in solitary himself in January to protest the practice. It’s part of his broader agenda to shake up the state’s correctional system so it might actually rehabilitate people rather than worsening the problem. Are state tax caps unconstitutional? In a push-back against the tyranny of conservative tax caps that prevent some state and local tax increases except by referendum, activists and some legislators in Colorado are trying to persuade the courts to hear a case that says these restrictions are Federally unconstitutional. This clause has generally only come up as a formality when Congress has to admit a new state to the union. In the past, the Federal courts have refused to hear cases on this issue of what is or isn’t a “republican” form of government in the states, since most of the disputes are openly political fights between rival state camps rather than legitimate constitutional cases. But they seem to have taken an interest over the extreme case where Colorado legislators have been legally powerless to raise any taxes whatsoever without the consent of a popular referendum, for over two decades. Unlike California where many — but not all — taxes end up going to ballot, or other states where legislators can only raise taxes by a certain fixed percentage every year without a ballot question, Colorado’s constitution completely removes that power from its legislature — and even the local governments — and hands it over to the voters. …no unit of government, from the legislature to local boards, can raise taxes or approve a new tax without a vote of the people. In addition, if existing taxes bring in revenue greater than “inflation plus the percentage change in state population” for the year previous, that “surplus” must be refunded to the taxpayers. In short, TABOR froze state government in its existing shape as of 1992, and left the legislature to flounder helplessly.